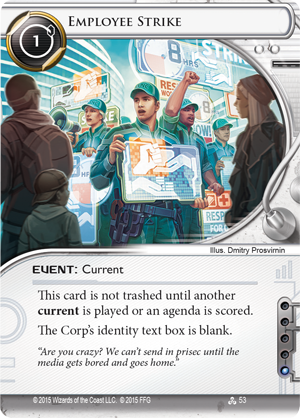 A few weeks ago, 2016 Netrunner World Champion Chris Dyer gave us a tour of the 2016 Android: Netrunner World Champion Corp Deck for Android: Netrunner. 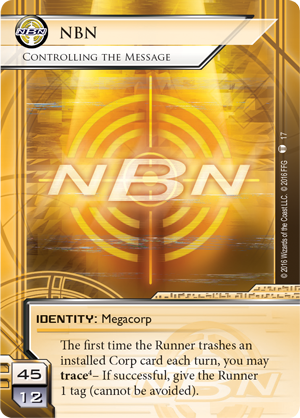 Today, he's going to guide us through the runner side of the equation with the 2016 Android: Netrunner World Champion Runner Deck, a card-by-card recreation of the deck that led Chris to victory in the final round of the World Championship. 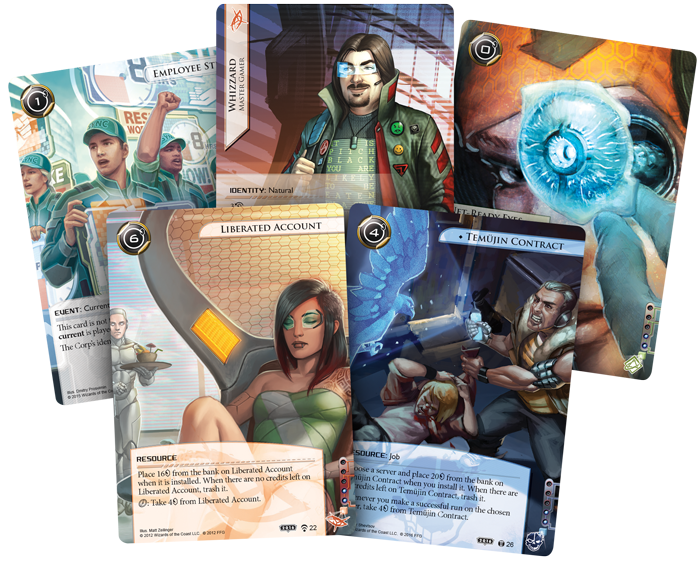 The deck features 46 full-bleed art cards and is a must-have for veterans of Android: Netrunner and new players looking to experiment with one of the best decks in the world. 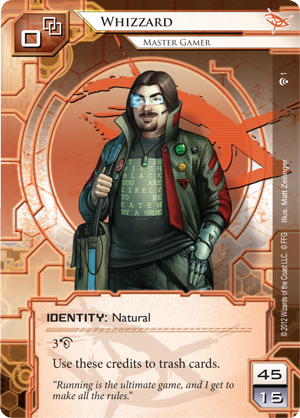 Fantasy Flight Games: Take us through the history of the deck, why pick Whizzard (What Lies Ahead,1) as your identity? 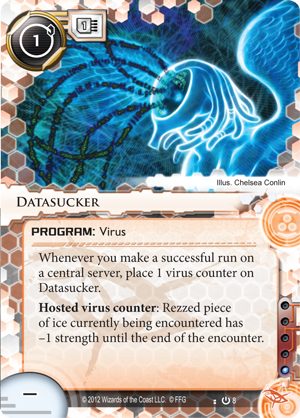 What is the deck's goal? 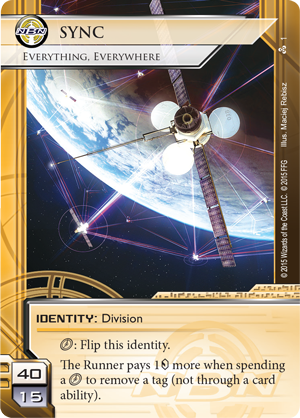 What do you think sets it apart from other Whizzard decks right now? Chris Dyer: I was really playing Whizzard as a direct counter to Controlling the Message (23 Seconds,17), which we (Ed Note: Dyer and testing partner Alex White, who finished sixth at Worlds overall) thought was clearly the best Corp deck and therefore the one we were going to have to play against the most. The three recurring credits are crucial to be able to contest the early assets that Controlling the Message plays without hurting your economy too much. At that point, the only decision was which sort of Whizzard we should play. 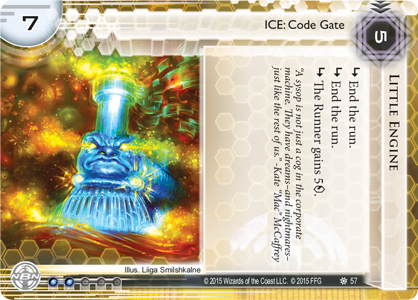 Blood Money introduced two really powerful cards in Temüjin Contract (Blood Money, 26) and Paperclip (Blood Money, 24), and they bought back an archetype known as 'Reg Anarch' that plays the fixed strength breakers together with Datasucker (Core Set, 8), Ice Carver (Core Set, 15), and Net-Ready Eyes (Chrome City, 47) to assemble a very efficient rig. This deck isn't really complicated; it plays a lot of draw cards and a lot of burst economy to get set-up as quickly as possible. The powerful economy, combined with two Employee Strikes (Data and Destiny, 53) let you compete with Controlling the Message in the early game. 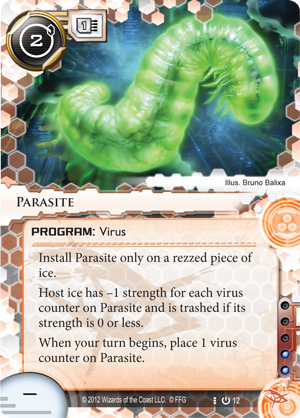 Because the deck has to find all three breaker types before it can really threaten, it can be 'gear-checked' by early end the run ice, so the deck also has three copies of Parasite (Core Set, 12) to combat that threat. 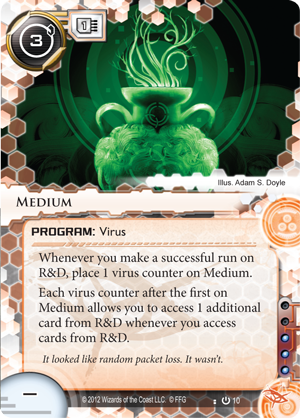 Once you've got your efficient rig set-up, you tend to close the game out by increasingly big Medium (Core Set,10) accesses on R&D. 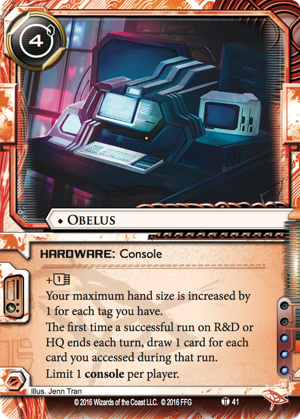 On the advice of Sam Suied, an accomplished player from Texas, we'd also switched the console from Grimoire (Core Set, 6) to Obelus (Escalation, 41) on the night before the tournament, on the basis that the extra card draw from Obelus lets you get set-up quicker, and the increased hand size can save you against meat damage decks. 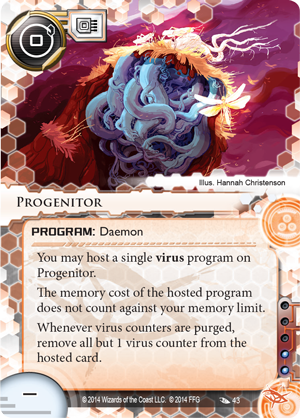 Sam also recommended a single copy of Progenitor (Order and Chaos, 43), which provides you with some additional memory and protects your crucial virus programs against awkward purges. 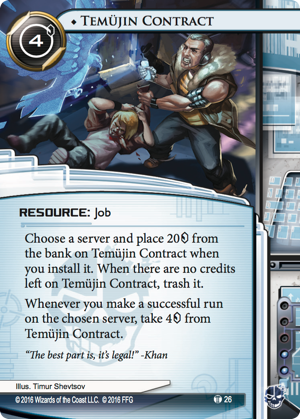 FFG: A lot of the deck's influence is wrapped up in Temüjin Contract​. Why choose that card over other economy cards? CD: In my opinion, Temüjin Contract was the most powerful card in the game at that point. Just taken by itself, it provides you with money at a better rate than any other economy card in the game, but the real strength is that you don't really need to take clicks to access that cash. When placed on either HQ and R&D, it gives you money back for taking accesses, which is essentially how most runner decks try to win the game. 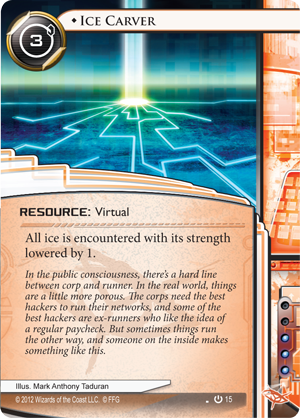 If you place it on Archives, it forces the Corporation to dedicate ice to a server that they normally might not defend, slowing them down. 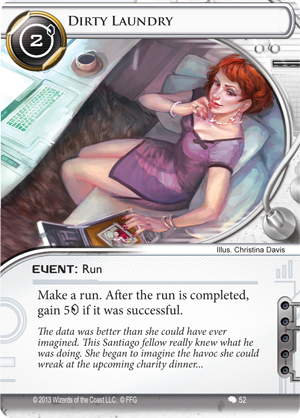 Most importantly though, it combines with some of the other cards in the deck to make your runs absurdly efficient. Dirty Laundry (Creation and Control, 52), Obelus, Datasucker, Medium and Retrieval Run (Future Proof, 101) all interact with it in one way or another. 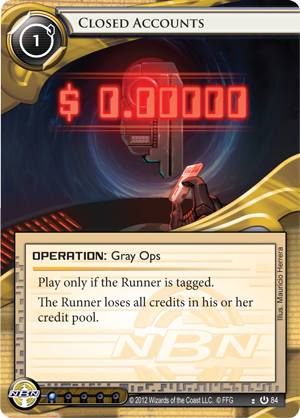 You often get in to a situation where your run on HQ nets you 7 credits, a datasucker token, a card, and an access, which is pretty good value! 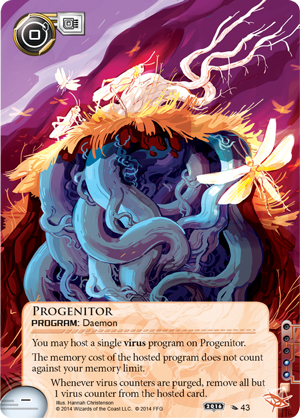 FFG: Besides the Temüjin shenanigans, what are some other interactions you enjoy within the deck? 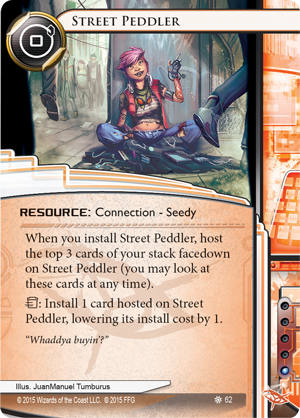 CD: Street Peddler (The Underway, 62) is one of my favorite cards in this deck, because it allows you to do all sorts of exciting things at instant speed. If there's a Temüjin Contract hosted on there you can wait until just before you access before revealing it. Likewise you can pop a Parasite on a piece of ice that you're approaching or reveal a Medium just before you access R&D. For bonus points you can sometimes discard a Paperclip in this fashion, which you can then install again straight away when you meet a Barrier. It all depends on what your Street Peddler finds for you, which only adds to the allure. 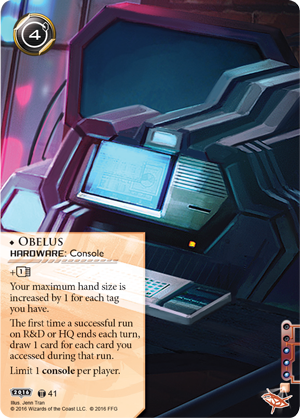 Other than that, the interaction between Medium and Obelus is very strong. It's a great feeling when you get a lot of accesses from the top of R&D, then draw a fistful of cards which give you all the economy and tricks you need for your next set of accesses. 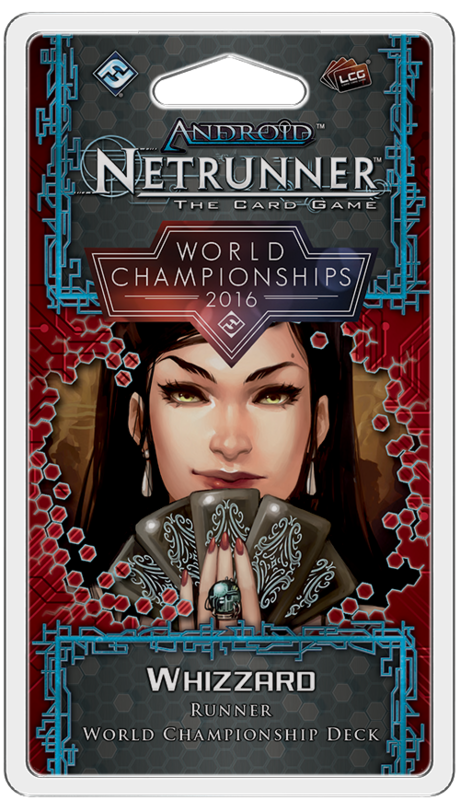 FFG: What was your favorite moment with this deck at Worlds? CD: I played an amazing game against Aaron Aandries and his Sync (Data and Destiny,1) deck in round eight. The game swung from one side to another so many times, and was extremely tense and exciting. 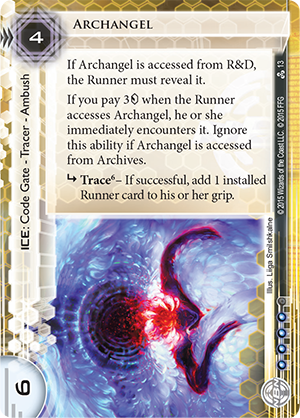 I got a series of early accesses and stole some points, then hit an Archangel (Data and Destiny, 13) which bounced both my console and trashed my Datasucker. 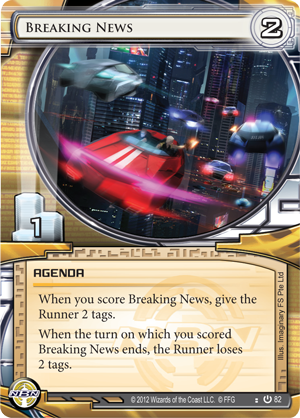 He hit me with a Closed Accounts (Core Set, 84) off a Breaking News (Core Set, 82), costing me about 15 credits, then I managed to set the board up so that I could make money by repeatedly running through his Little Engine (Chrome City, 57). 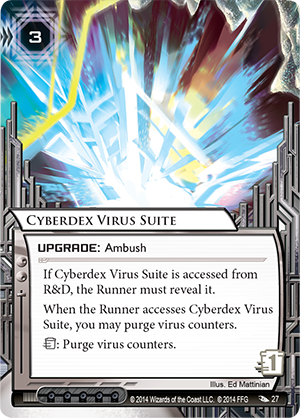 Eventually I set a series of big Medium digs up and thought I was bound to win, only to hit a Cyberdex Virus Suite (Order and Chaos, 27) in R&D. Aaron spotted the opportunity and found and scored the winning agenda in the narrowest of windows. 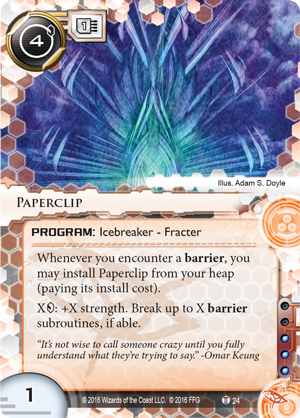 Just a great game of Netrunner against a great player and all carried out in a fantastic spirit; it was my favorite game of the whole tournament. 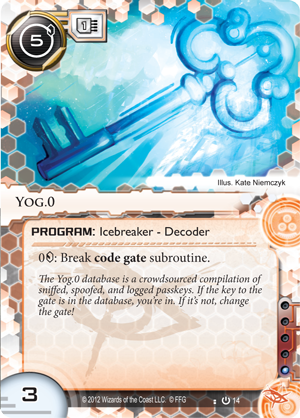 FFG: What does the deck do well against? What should it watch out for? CD: The main reason that I chose to play this deck is that it's extremely versatile; because it's not trying to do anything too complicated, it really doesn't have any particularly bad matchups and will give you a chance against every deck out there. Whizzard's recurring credits coupled with all the money in the deck mean that you're very strong against anything relying on assets, and only Controlling the Message's defensive ability can really slow you down. 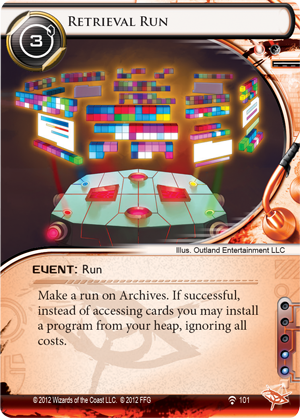 One thing to watch out for is that almost all of the early economy is run-based, which means that if the Corporation can quickly lock down all their central servers, you can find your self short of money. 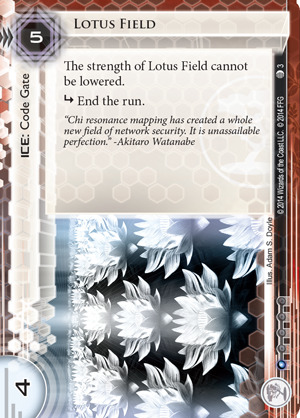 You also need to find your various breakers early, so sometimes the Corporation might manage to rush early agendas, particularly if they have a Lotus Field (Upstalk 3,) which requires you to find your single copy of Net Ready Eyes as well as Yog (Core Set, 14) before you can break it. The important point is not to panic in those situations; the deck is extremely hard to stop once it's set up, so don't worry too much if your opponent scores some early points. FFG: Any last words on Whizzard? 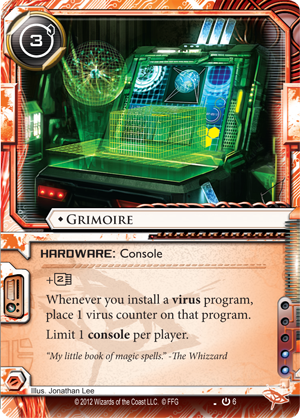 CD: My favorite thing about this deck is that it plays a very classic and simple sort of Netrunner. It runs often and early to get money and accesses, then assembles a rig to try to pressure servers while the Corporation attempts to keep you out. 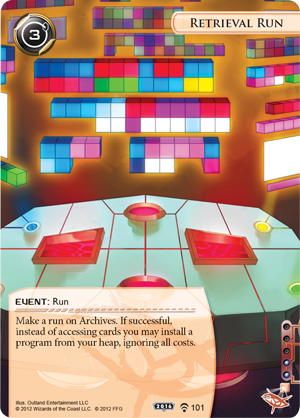 In many ways it reminds me of the feeling I got when I played Netrunner back in the Core Set days! 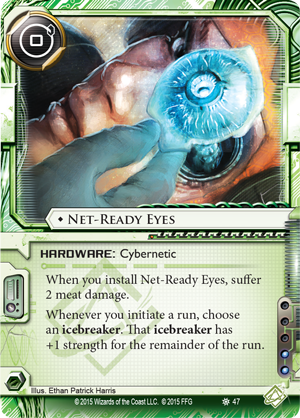 With beautiful full-bleed art and a proven track record, the 2016 Android: Netrunner World Champion Runner Deck is a sure way to up your game. 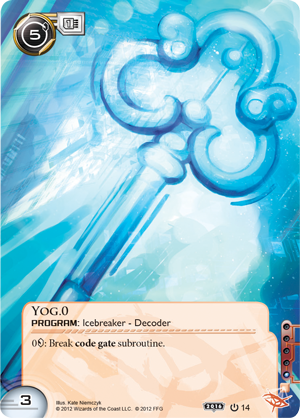 Can you melt the corp's defenses the same way Chris did at the Netrunner World Championship? Find out in the second quarter of 2017!